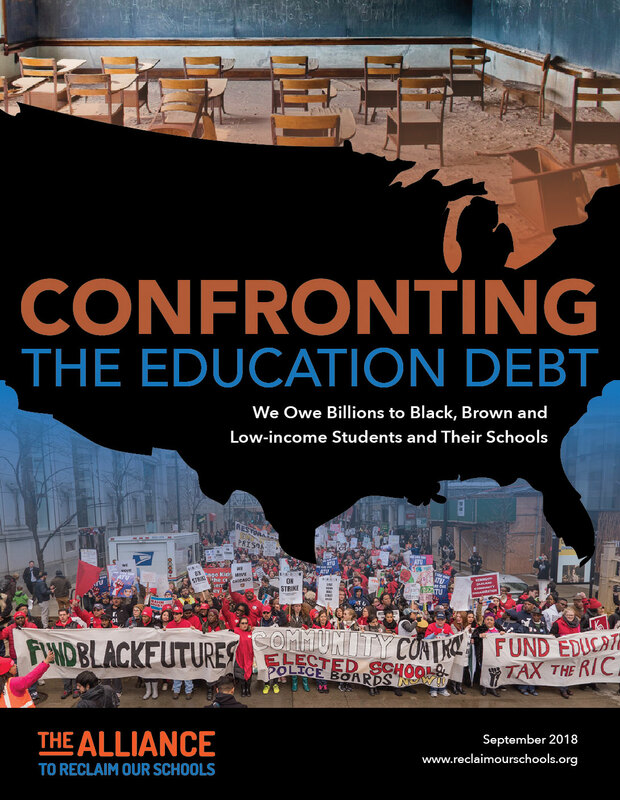 Citing figures from the Alliance to Reclaim Our Schools report, Confronting the Education Debt, U.S. Senator Chris van Hollen (D-MD) introduced a bill to fully fund Title I and the Individuals with Disabilities Education Act (IDEA) on Tuesday. The “Save our PACT Act,” (S. 3699) would require additional appropriations for both programs over the next ten years, to bring them up to full funding. Title I and IDEA are the largest federal education programs, aimed, respectively, at providing supplemental federal funding for children living in poverty and students with disabilities. Each law has language authorizing substantial funding—but each program has been under-funded since their inception. Over the last thirteen years, AROS found, the two programs combined have been short-changed by $580 billion. The van Hollen bill will be reintroduced in the next Congress. The Senator’s office is now in the process of recruiting co-sponsors, as well as a sponsor for a companion bill in the House of Representatives. 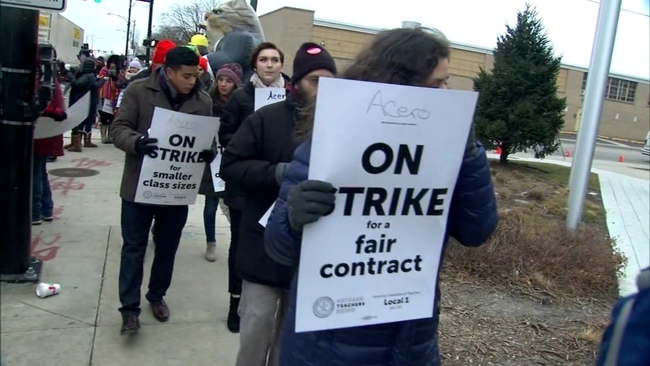 Teachers in the Acero Charter School Network in Chicago have walked off the job, on what is the first charter school strike in the country. The teachers are calling for smaller class sizes, restorative justice practices, and comparable wages to their colleagues teaching in the Chicago Public Schools. 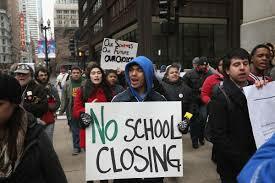 The teachers voted to join the Chicago Teachers Union last year. See more HERE. Chicago Public Schools CEO Janice Jackson has recommended that the school board deny all applications for new charter schools in the city. Jackson noted that a comprehensive review of school performance convinced her of the need for a pause in authorization. Charters in Illinois that are denied by the local school board are able to appeal to a state charter commission. The pieces seem to be amassing to favor a significant slow-down in charter expansion in Chicago. In November, pro-charter governor Bruce Rauner was defeated by Democrat J.B. Pritzker, who has indicated support for a moratorium. The Chicago Teachers Union has bargained a moratorium on new charter schools, and in the city’s mayoral race, with the election just 2 months away, at least some candidates are also indicating support for a moratorium. A slowdown in Chicago charter growth would be a massive victory for the community-based groups that have been fighting public school closings and charter for years. Their work has helped see the ouster of politicians like Rauner and Chicago Mayor Rahm Emanuel, who announced earlier this year that he would not seek a third term. A new report from Good Jobs First finds that public schools across the country lost at least $1.8 billion last year as a result of economic development tax incentives granted to corporations. The study analyzes the financial reports of 5,600 of the nation's 13,500 independent public school districts. School districts in ten states, led by South Carolina, New York and Louisiana, collectively lost $1.6 billion. If this money were instead reinvested in hiring new teachers and reducing class size, these ten states alone could have afforded to hire more than 28,000 teachers. The report, entitled The New Math on School Finance, was enabled by a new rule from the Governmental Accounting Standards Board (GASB), that requires most state and local governments to report annually on the amount of revenue they've lost to corporate tax abatements. The report also raised questions for Good Jobs First, around apparent non-compliance with the new accounting rule by school districts in many states. 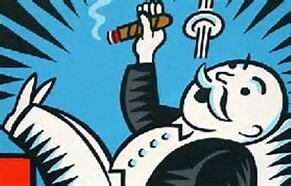 The report offers strong analysis for local and state campaigns to claw back revenues lost to corporate tax subsidies. The national Black Lives Matter At School movement has launched a petition to seek support for its upcoming 2019 week of action from February 4-8. This is a movement that began during the 2016-2017 school year in Seattle and that same year spread to Philadelphia and Rochester, NY. Last school year was the first nationally coordinated Black Lives Matter At School week of action with thousands of educators, students, parents, and community members participating in over 20 cities around the U.S. Organizers are hoping to build on the success of last year’s action and are asking people to pledge their support for the movement in the weeks ahead of the national action. 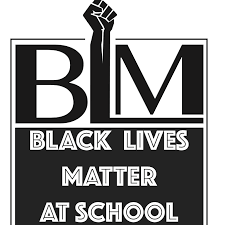 Sign the petition, share it on social media, get the BLM At School t-shirt, download the lesson plans, and pledge your support for the Black Lives Matter At School movement! 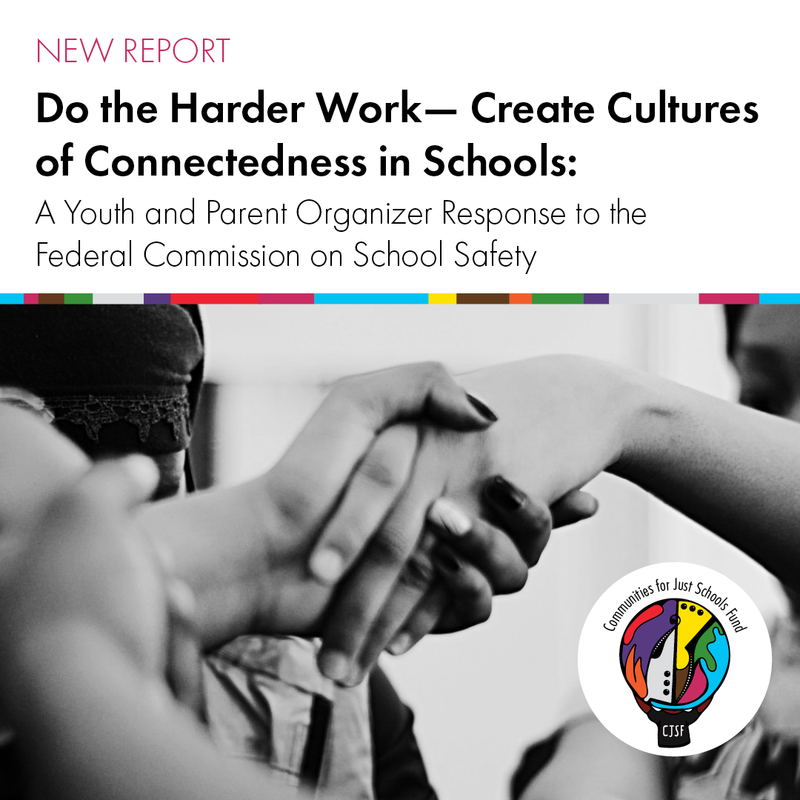 This week, Communities for Just Schools Fund (CJSF) released a new report called Do the Harder Work—Create Cultures of Connectedness in Schools. The report responds to the proceedings of the Federal Commission on School Safety, whose recommendations are expected to be released very soon. The federal Commission was created by President Trump after the school shooting in Parkland, Florida last February and was chaired by Education Secretary Betsy DeVos. Trump tasked the Commission to develop strategies for “hardening” schools, including, he proposed, allowing teachers to carry guns. The report calls for districts to invest in restorative justice, culturally relevant curricula, diverse teaching staff, anti-bias training for educators, mental and emotional health supports, and more. The CJSF report was released at an event held at the National Press Club in Washington, D.C. on Wednesday of this week. Working with Power U is an opportunity to organize the community, challenge the school-to-prison pipeline, center youth leadership, and curate a vision of safe and supportive schools for all young people. If you or someone you know believes in our mission, share the news! Power U, based in Miami, is hiring for three positions, an organizing director, a young parent organizer and a safe schools coordinator. Check out the job descriptions and application information HERE. December 12: Senate Staff Briefing: “Community Schools: Combating the Opioid Crisis for Students, Families and Communities.” 12:00 – 1:30. Russell Office Building Room 325, Washington, DC. The briefing is hosted by the Coalition for Community Schools. December 13: Boston Education Justice Alliance general meeting. 6:15 – 8:00pm at the East Boston Social Center. Share your concerns and needs about Boston Public Schools with Interim Superintendent Laura Perille. Childcare, dinner and translation provided. December 15: Massachusetts Education Justice Alliance Winter Assembly will bring together hundreds of parents, students, educators, and community activists. The gathering will be held at the Boston Teachers Union Hall, from 11-6:00pm. It’s a chance to meet public education defenders from across the state and plan for the Fund Our Future campaign with coalition organizations and local MEJA groups! Follow the Alliance to Reclaim our Schools on Facebook and Twitter and learn more at www.reclaimourschools.org.